Chef Susan developed a passion for cooking and baking at an early age and that passion has never faded. She loves working with and continually learning about food, developing and testing recipes, teaching others and generally “playing in the kitchen”. 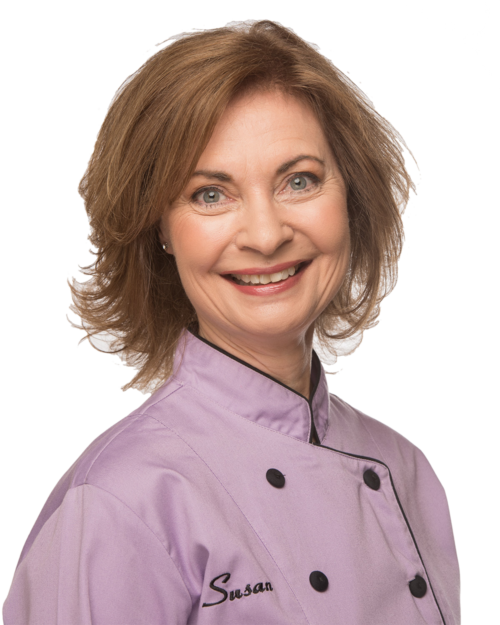 Through personal experience, Susan understands the transformative power of a whole foods, less processed approach to cooking and eating as part of an overall plan for health and well-being. She enjoys sharing that information with others in a fun, relaxing and encouraging manner. She continually expands her culinary knowledge and gains inspiration through her extensive travels, exploration, and professional development opportunities.